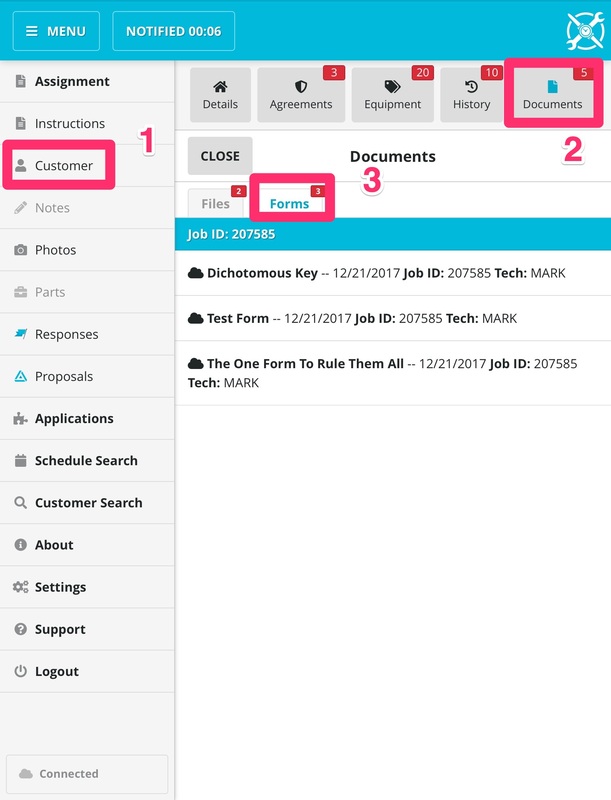 How do I review the completed Forms in SWRemote (on a Device)? *This will only work when on a job for a particular customer. Tap on the Customer button (located in the menu located in the left hand side of SWRemote). Tap on the Documents Tab. Tap on the Forms button. What does the Cloud icon represent ?